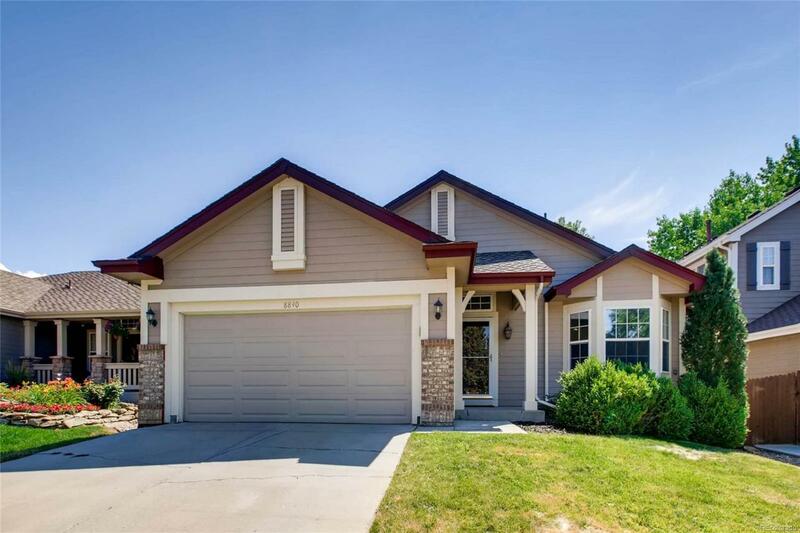 Beautiful 3 BED 3 BATH Ranch in Lone Tree ~TOTAL REMODEL ~ Spacious floor-plan, hardwood floors, lots of natural light and vaulted ceilings provide the perfect open floor plan for entertaining or reading quietly on the new back deck. The updated kitchen features granite counter tops, french door stainless steel refrigerator with bottom freezer, double oven, glass cooktop and stainless steel dishwasher. Huge walk-in closet with built ins (by California Closets) to keep everything organized. Master bathroom includes gorgeous granite counter tops and a steam shower with dual shower heads that creates the perfect space to unwind. The basement includes an additional bathroom, wet bar and great room that could be used as a theater room, recreation area, craft room or anything that inspires you. Just minutes away from shopping, dining, public transportation and parks. Easy access to I-25, Park Meadows and DTC. Welcome Home~ This lovely ranch home won't last long.